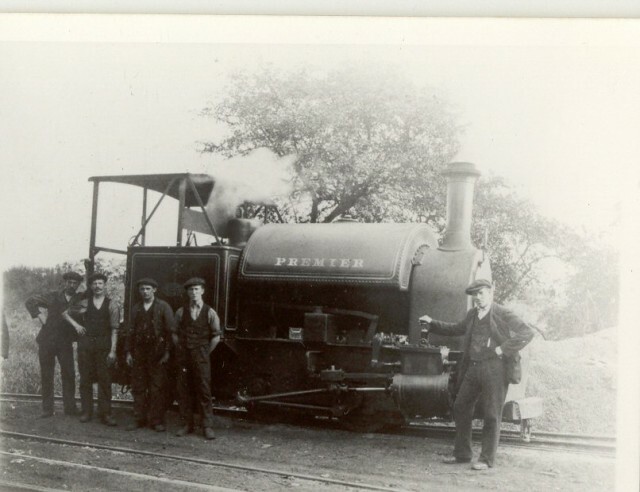 Steam locomotive ‘Premier’ was delivered to Lloyds Paper Mill in Sittingbourne in 1905 and has remained at the Railway ever since. Over the years a number of modifications have been carried out – improvements and tweaks – that have changed the appearance of the engine since it was first delivered. ‘Leader’ was the other loco of the original pair and is operational at the Railway now but Premier has been out of service for at least a decade. 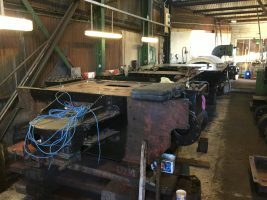 Over the last few years, work has been carried out on Premier and many parts removed, some for reuse, some for measuring & replacement and others for scrap because this locomotive is going to be restored to ‘as built’ condition. The main chassis of the locomotive can currently be found inside the engine shed at Kemsley Down but the boiler is 166 miles away at the North Norfolk Railway where it is being overhauled. The 2015-16 Sponsor-A-Tube Campaign was a great success and is now completed. In 2019, we are going for the final push to get the locomotive operational in 2020. A number of parts need to be purchased but due to the continuing demands of Milton Regis Viaduct’s maintenance regime (another £20,000 bill! 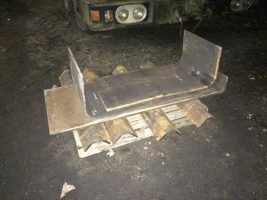 ), the Railway is unable to afford the parts so we are asking for donations in full or in part towards these last few pieces of equipment. 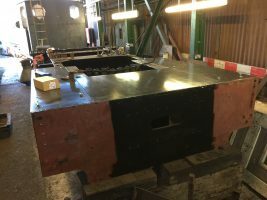 Work has already commenced to put the giant 3D jigsaw back together and the return of the boiler, later this year, will really accelerate the locomotive’s return to work. 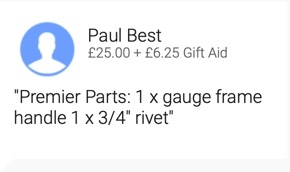 Choose an item from the list below (you don’t have to buy the whole item, you can pay for part of an item if you wish) and then go to our Just Giving page and state in the message box ‘Premier Parts’ and the item(s) you are purchasing. We will check Just Giving regularly and reduce the number of items as they are purchased. It’s that simple – you make the donation, we order and install the part. You can add gift aid to your donation if you’re a UK taxpayer and that will give is a few extra pounds for unforeseen expenses. If you don’t want your donation to be seen publicly, donate anonymously and email premier@sklr.net stating which item(s) you are paying for. So what does the boiler do and what are tubes? 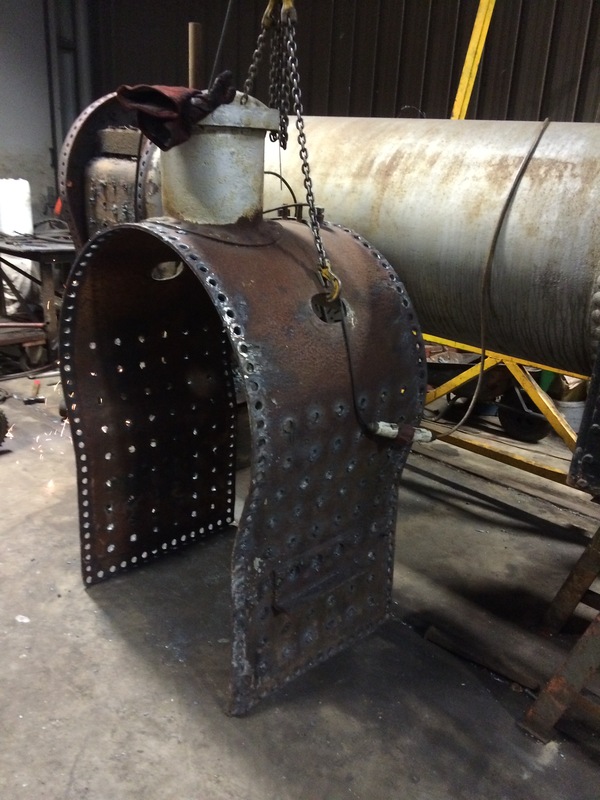 The boiler is attached to the firebox at the cab-end and the smokebox at the front end of the locomotive. The firebox, as the name suggests, is where the fireman manages the fire, the boiler is where the water, to operate the steam locomotive, is turned to steam and the smoke box is where exhaust gases are expelled from the engine. 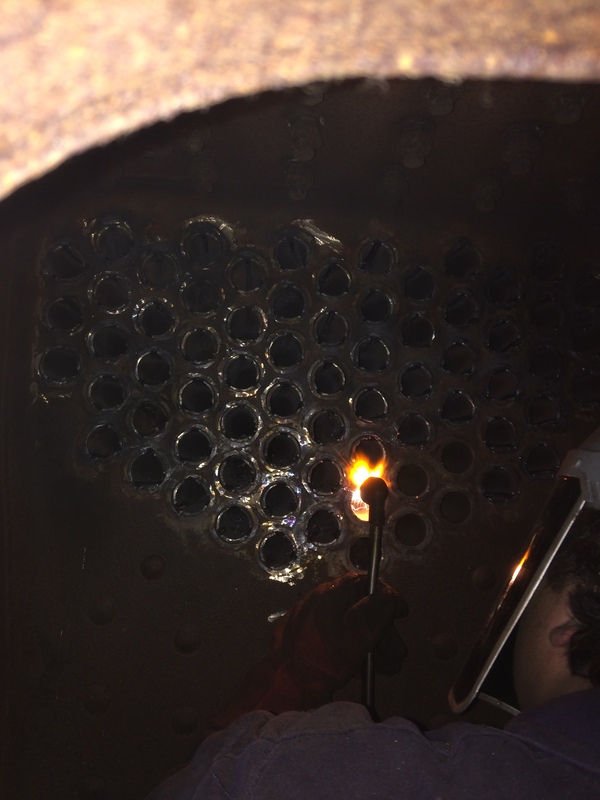 The fire produces hot gasses which pass through the tubes which are surrounded by water in the boiler, as the water heats it becomes steam and this builds up at the top of the boiler, when it is as operational pressure, it is used by the driver to move the train, it passes through pipes to the steam chests and then into the cylinders where it pushes the cylinder head which pushes the drive rods and turns the wheels. And that’s how coal makes the train move! 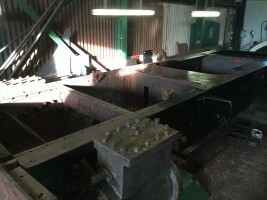 The boiler is now pretty much ready to return to Kemsley Down (see Premier Parts above). It’s arrival back at Kemsley Down will see the reconstruction phase accelerate because a lot of parts need the boiler in situ before they can be fitted. 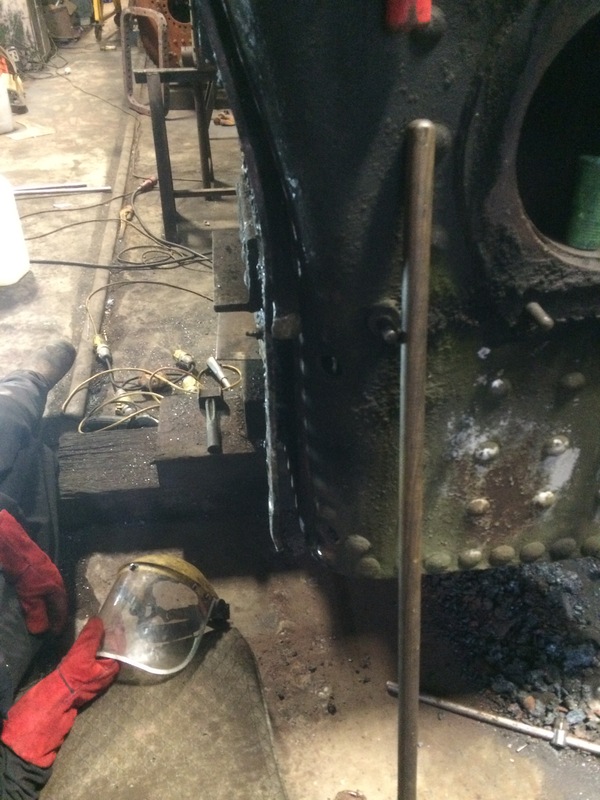 The locomotive has been stripped right back to the frame and is now in the process of reconstruction. 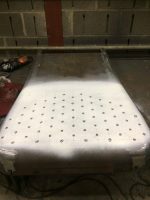 The bare frames were also stripped back of paint and completely repainted in advance of the parts being reinstated. The rear of Premier’s frames with the new flooring. 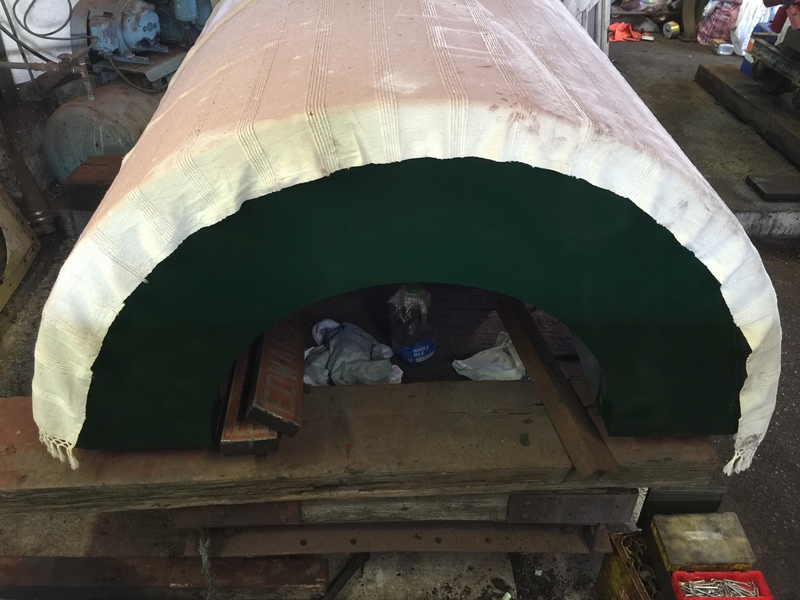 The hole is where the firebox sits between the frames. 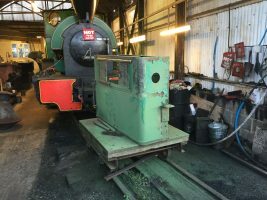 New flooring has been installed so it is now possible to visualise how the locomotive will be rebuilt. 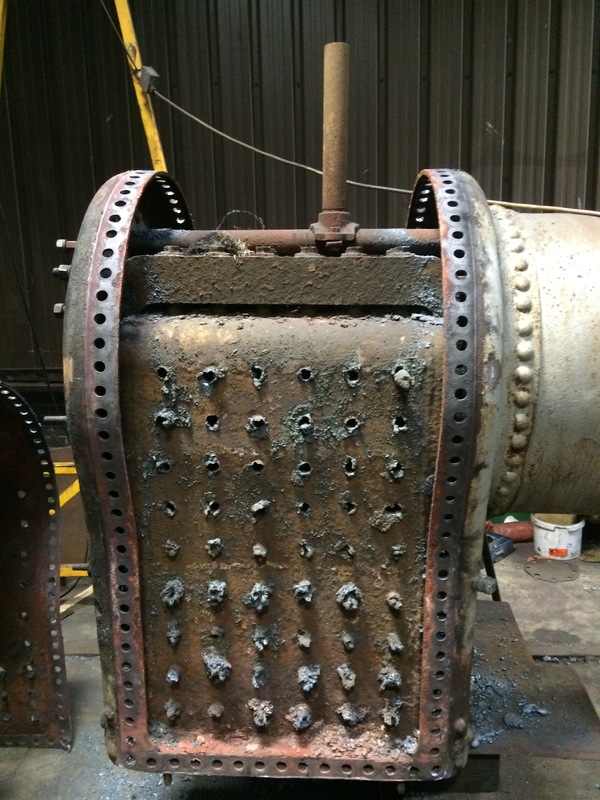 Premier’s rear coupling has been reinstalled and work has been carried out on cleaning up one of the bunkers. 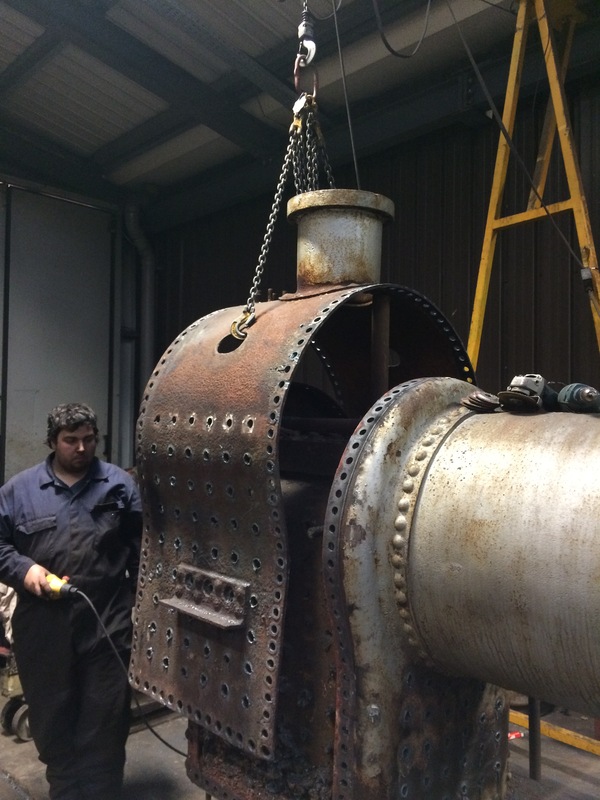 Getting the boiler back to Kemsley Down and the purchase of the parts listed above will lead to the reconstruction of the locomotive. It is hoped to get the loco back together enough to display Premier at the 2019 Gala Weekend (28/29th September) and back in service in 2020. 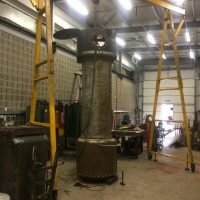 Aside from purchasing a part, we need your help on the rebuild of this and the other locomotives. 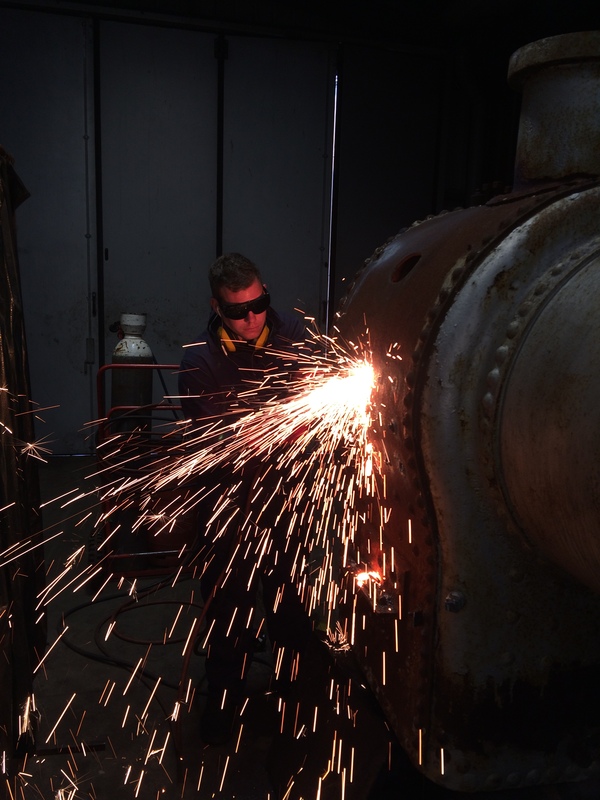 The Locomotive Engineering Team meet most weekends – the best way, initially, is to come along to a Work Weekend, during the off-season, or email volunteer@sklr.net to offer your help. Premier in original condition. Picture taken before 1910. Removal of stays by a BESTT Apprentice. 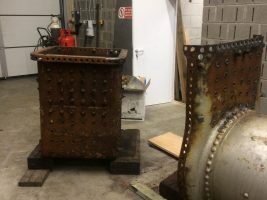 The old inner firebox now removed from the boiler (to make it easier to work on, both the boiler and firebox are upside down). 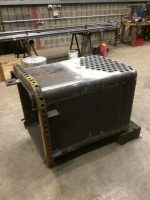 1 x inner firebox kit. 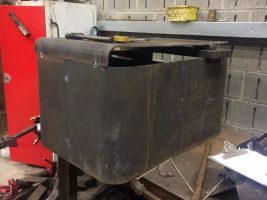 The new inner firebox is beginning to take shape. Tube locations have been marked on the firebox end. 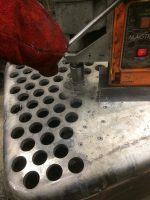 The tube holes are drilled into the back plate. 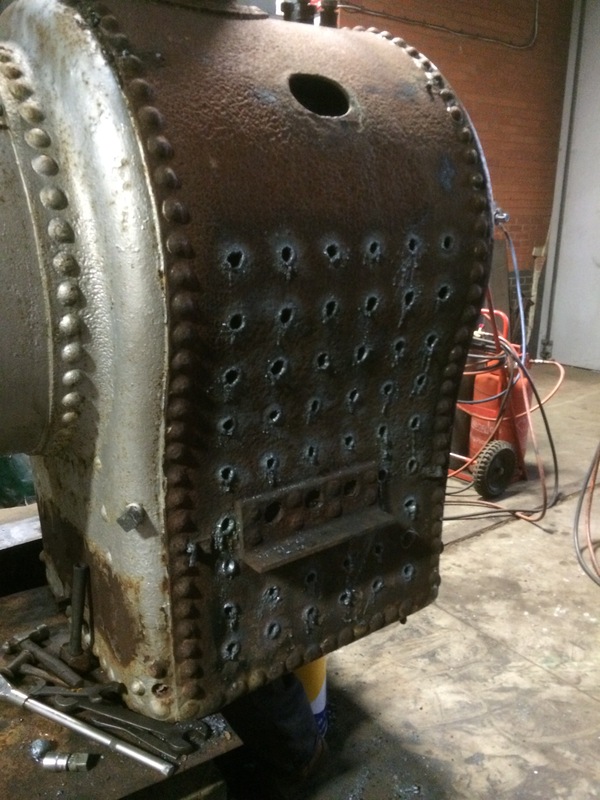 Inner firebox with tube holes drilled. Full boiler assembly upended. Firebox at the bottom, boiler (silver section) in the middle and smokebox at the top. 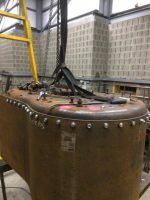 Premier’s new water tank – it has already had many coats of green paint added and is currently covered up to protect the paint work. Premier’s frame is now up on blocks and being painted black. This view is from the front, looking back. One of Premier’s bunkers being pressure washed (it is upside down). Premier’s frames being drilled for new horn guide bolts. Components are now being remounted to the frames. 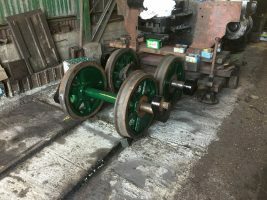 Premier’s driving wheels have been painted in the new shade of green.